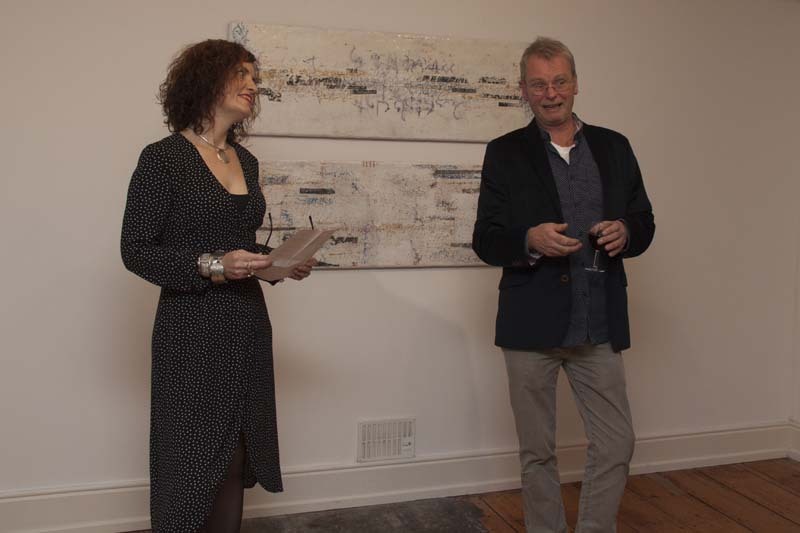 NIAMH O’CONNOR is a visual artist from North County Dublin living and working in Monaghan. Her work carries the weight of a thousand stories inspired as she is by all about her, including homelessness and housing, health and recovery and very often addressing issues of personal and social history. Niamh has exhibited across Ireland and beyond. Of note are her works for her solo exhibitions “A Ballast Full of Hope” Market House Monaghan, and 'hidden...OUT LOUD' addressing the reformation and idea of self when diagnosed with hidden illness. I identify as a Mixed Media Artist with a penchant for Encaustic. The versatility of the wax medium gives me a creative avenue for all feeling, and an adaptability I find necessary in art, as in life. 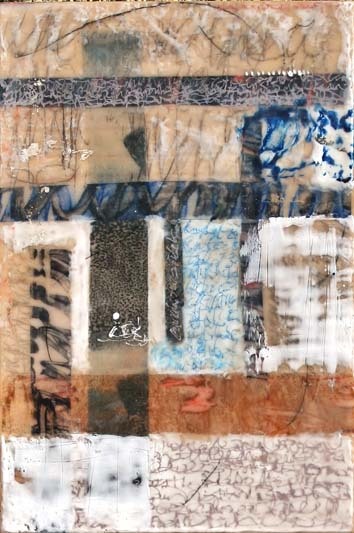 Many of my pieces are hand pulled encaustic monotypes on fine Japanese Kozo papers collaged to panel, some with over painting of encaustic layers. 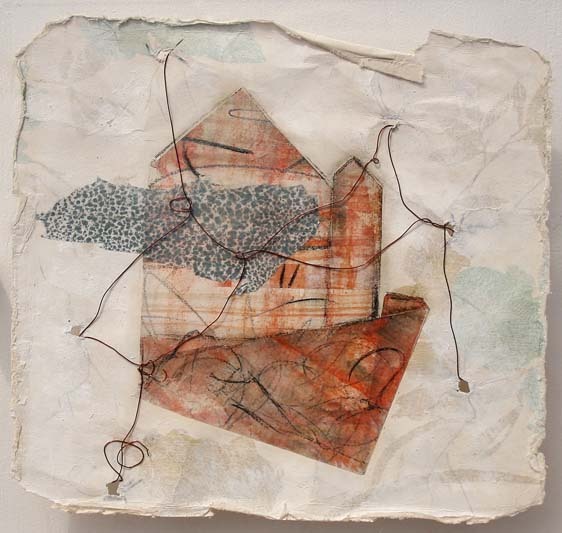 Other pieces include folded works, collage and encaustic sculpture/installation... houses and homes...scripts, stories that don't meet expectation...fractured flat colour-field works! The layering and mark making, cutting, tearing, folding, attaching, building and over-painting of these final images, all act as metaphor for medical procedures, personal body interference, loss of identity, grief and obstacle. MORE INFO: With a fairly wide exhibiting history, including many large scale public art events such as: Landfill.org-USA, Jack and Jill Egg Hunt/ Pigs on Parade, Sackville Street 1916 and plenty others including here at the Solas Gallery in the Amanda Jane Graham curated 'Don't step on the cracks' in 2015. 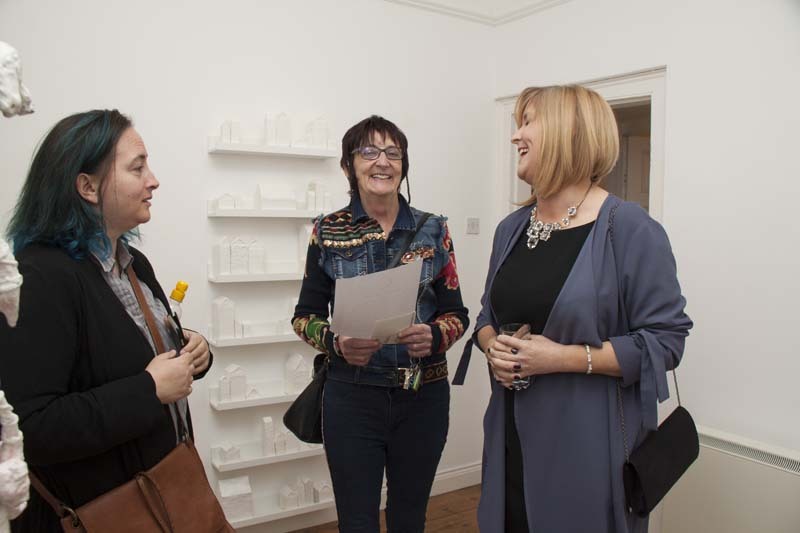 2016 saw her spearhead an artists' collaborative commission from Westmeath Co. 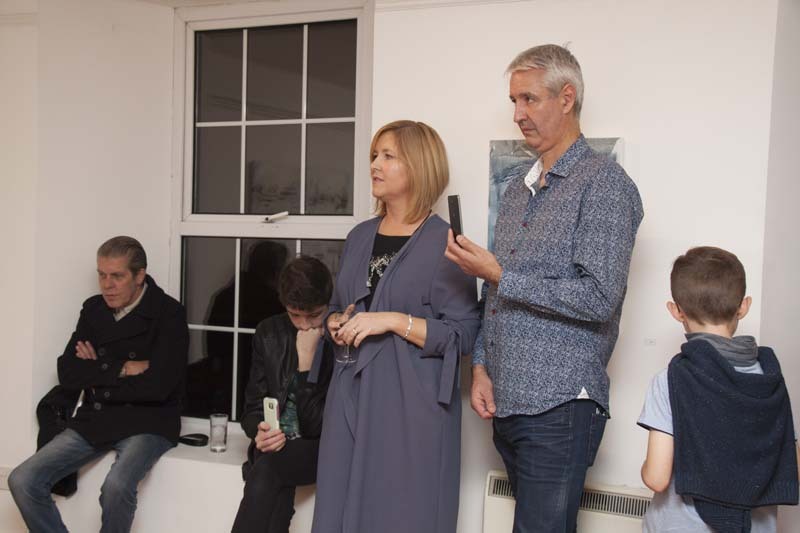 Councils commemorative program, the resulting work was a site specific installation for ‘100’ at the Luan Gallery, entitled “Rising Voices 1916”. Niamh was awarded one of only 2 International (non-US) scholarships in 2015 from the International Encaustic Conference, Cape Cod, Mass, USA.